Svetla Tsotsorkova was born on the 6th of June, 1977 in Bourgas. She has worked as screenwriter, film director, producer and actress. 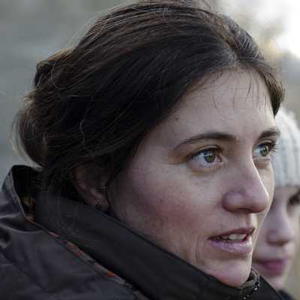 With her very first short feature film Life with Sophia she won the Jameson Award at the Sofia Film Fest in 2004. As actress, she has starred in Omеlette, a film miniature directed by Nadejda Koseva, part of the first Bulgarian film omnibus 15, Hourglass (1999) by Georgi Dyulgerov and Take two (2010) by Nadejda Koseva. Together with Nadejda Koseva the two young filmmakers founded the FRONT Film production company and produced the movie Buffer zone (2014) directed by their tutor, Prof. Georgi Dyulgerov. Svetla Tsotsorkova was executive producer to the documentary The famous stranger (2015) directed by Svetoslav Ovcharov. They continued their work together on her debut feature Thirst, the screenplay for which she wrote together with Ventsislav Vasilev. The film was part of the New Directors programme at the 63rd edition of the San Sebastian International Film Festival in September 2015. At the 33rd Golden Rose Bulgarian Feature Film Festival in Varna in 2015, the film received the Feature Debut Award and the Scenography Award. The film has taken part in the festivals in Zurich, Haifa, Hamburg and the New Directors programme at the San Sebastian film festival.